Submitted by PJ156 on 2013-05-05 03:54. Revenge! The need to pay back the people who owe you your life, and your fathers life is the only thing that has kept you sane these past four years. Now, with Samuel dead, you can see an ending to this, one way or another. Reece is now your target, the man who stole your fathers property and position, the man who now has the ear of Hal Tysan, newly appointed to the Tysan estate since the death of his father just a few short days ago. For weeks now you have been living in the wilds, camped in the Neverwinter Wood with only the woodland creatures for company. Watching for a chance to get to Reece, to find a way to discredit him ... to destroy him; but the chance has not come. Now it seems you position is compromised. Reece knows you are out there and your target is him; he is as keen to see you buried beneath the soil of the sword coast as you are him. He has resources: men, money, the ear of powerful allies; you have your sword, your wits and the continual pain from the wounds you suffered at Samuels hands to remind you of who you are and what you have set out to do. The odds are against you but perhaps the answer lies in your new found friends. The adventurer who you helped to track down the bandit, Taneth; or his friend, the rogue Ember. Perhaps you can seek comfort and aid from your past, from the fact that the Tysan household are the closet you have to family beyond your own father. Perhaps these things will be enough ... perhaps at last, with the help of your friends, you can find peace. This is module five in the series Tales from the lake of Sorrows. The story begins just a few hours after the ending in The Last Days of the Raven and carries on with the story threads from that module. It takes place at the same time as These Dark Days of Waiting, while your PC is away from Thunder Bay. The Module tells the story of what happens in the town and develops the story thread that will form the basis of the last part of the series, The Vault of the Damned. This story may be played using any character of ninth level but it is written for Solace, the ranger your PC met in the Caravan Club. The story will make sense who ever you choose to use but I have included a Solace.bic file to give you the character the story was written for and you can use this by copying it to your c/mydocs/neverwinternights2/localvault folder. 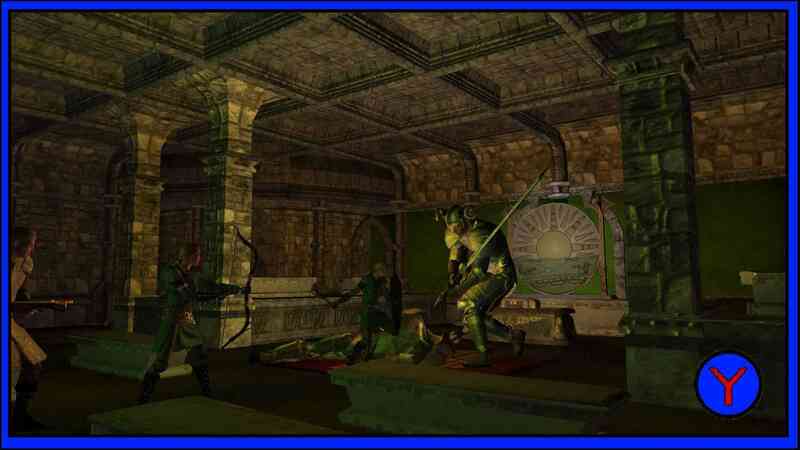 Some classes may find this easier, some harder but it is balanced for a 9th level ranger and the tactics you might employ as a ranger (partcularly one dedicated to an archery style) will be useful here. I do not provide a level up area so which ever character you use must be equiped and ready to play. You do not need to play this module to progress the plot in the Tales campaign but much of what goes on here builds on the themes I will use in the last part. Note on combat – Unless you are an experienced tactical player keep all the companions offered to you with you when you can. Consider the character class you have and remember your animal companion. The combat is balanced to be challenging at times but with preparation and tactics none of the encounters will be too difficult to manage. Note on npc's – If you pass time in the keep or Thunder Bay and the npc's do not appear then walk into a building and out and all should be well. Loading instructions are included in the zipped file. It is important to follow these carefully as several folders have similar names. The module will run from your campaigns start up screen. Transitions are sometimes made without a world map. In some outdoor areas you will find either a stone, a sign or an area transition that will get you out. For indoor areas use the door like everybody else. Your npc's are Ember(fighter/rogue) and Silas(rogue). Npc’s are not always available and in the first part of the mod you are one your own. Even there one of the story thread will allow you to pick up companions for a short while. The npc's have back stories which you can access as the module progresses. Ember in particular will develop her romance with your main PC if you choose to keep her with you. On two occasions you will tell some of your own story through PC conversation nodes. These are short and allow you to develop Solace in way that suits you. While in Thunder Bay you will hear a bell from time to time. This rings on the sixes, giving you a general idea of the time of day. This is a linear story driven module. There are side quests but limited possibilities for sandbox style play. That said there are places to explore with rewards for doing so and in the early part there are several ways to complete the main quest. If this gets a bit mixed up I apologise for that. Talking to every one may reveal opportunities to gain exp. M.Reider for all his continued support in the development, testing and scripting for this series of modules. Arkalzelth for his play testing and advice on character builds. Officerdon for playtesting and advice on lore. 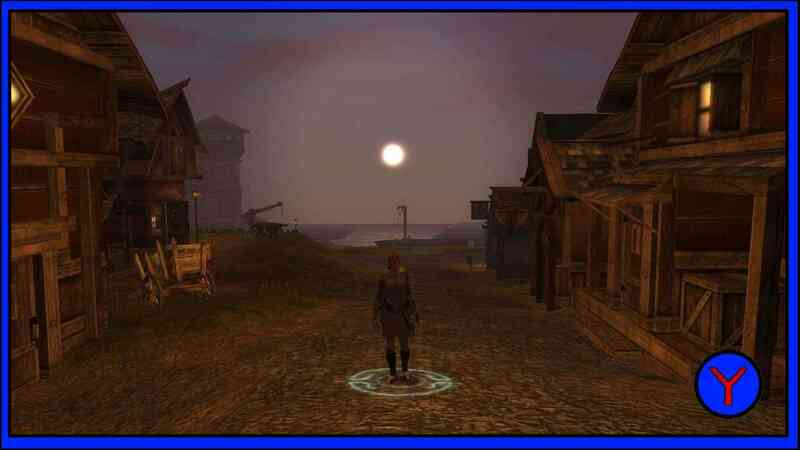 Seagloom for advice in this and previous mods on lore relating to the cults of the sword coast. Uncle FB for the Uncle FB's NPC control. Pains for his moster and apperance compilations. Sean Caldecott for his Island tower with cave prefab which is the only prfab area I have used in this mod. Nicethugbert for his excellent eroded hills and valleys area sets. Many of my areas have these at thier core. All of the modders who have placed most excellent custom content on the vault in particular RWS for the creatire and tile set mods. Finally my thanks to the forum users who helped with my questions. There is a lot of custom music in this module. Credit is due to the following persons. For the playing of La Manfredina which may be heard in Thunder Bay, Grien Sluis which is played in the afternoon in the market Tavern and the Trotto which in played in the Market Tavern late at night thanks to Susan Sandman and Derwent crocker. If these sound good to you then you can find these and other tracks on The Medieval Lady, available on Leonarda productions. I payed royalties for these tracks please do not rip them. For the playing of the many guitar tracks used in the taverns and inns of my modules thanks to Jon Sayles. Check out his website for an enormous free resource and also develop a love for his art. Much of the area music may be found on freesound, the composer of all the track I use is Tillman Sillescu, big thanks to him for his art and for making the music freely available. Some area music is the work of the Celestial aeon project again I give my thanks for thier providing thier music for free use. Sorry I have not been more specific about tracks used. If you want to know more PM me one the forums and I will hook you up with any tracks that interest you. I hope you enjoy From This Comes Strength and hope also than you can find time to vote and comment. I would very much like to try this. However, when I started the campaign, it informed that the module could not be loaded because Hak files were missing. I hope I didn't inadvertently miss links you posted to these haks, but I didn't see any. What haks are required to play this game? Also, which of the two files do we need to download, or both? I apologize if I missed something obvious (this happens to me frequently). Look forward to trying your game. Sorry for the very long delay in responding. I have had no PC for a long time. I you have all thesee you should be good to go. If not shout out and I will link you up. I've downloaded your mod and indeed there are no hak files in the zip. Could you please upload them here? little edit: tbh I didn't try if it loads just yet, as I'm at work atm >_> Only downloaded and extracted to see if everything was inside. But as I said - the pack for this mod here doesn't have any of those haks. So I've finally checked the mod and it doesn't load indeed - the hakpacks are missing. Pains Monster Pack has been made available. Hopefully that will supply your requirements. How are you getting on? Is it all working for you? Which module is the sixth part of Lake of Sorrows? Or is there one? Thanks. Thanks, but I already downloaded the entire Lake of Sorrows and was able to advance to the last part from a save. There is and there isn't one. As a stand alone module it was never released becuase it is in the campaign set but I can post you a link here to a version I made for another player. Let me dig it out and I will link here within 24 hours. I have it now, you can take it down. Hi. I'm inside Tysan estate and I have to rescue Adrian in the cellar. I've found the secret passage and the wedding ring, but I can't enter the cellar. It says the door is magically protected. How do I get in? OK never mind. I failed a spot check and found the obvious large door on the 1st floor. A great side-story to "Tales from the Lake of Sorrows" totally focused on Solace character and her background story. A beautiful addition that adds further depth to an already outstanding game. This is a really good mod. I would recommend the whole series to everyone. Kudos PJ 156. I should have rated this awhile back sorry about that.